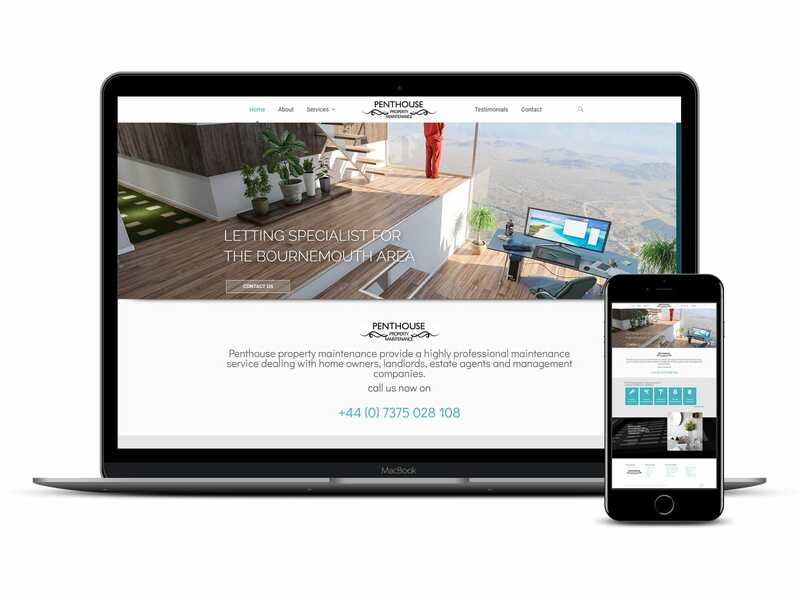 We were pleased to be able to work again with another client, this time it’s a Property Services company based in Bournemouth. Penthouse Property Maintenance cover the whole of the BH area. 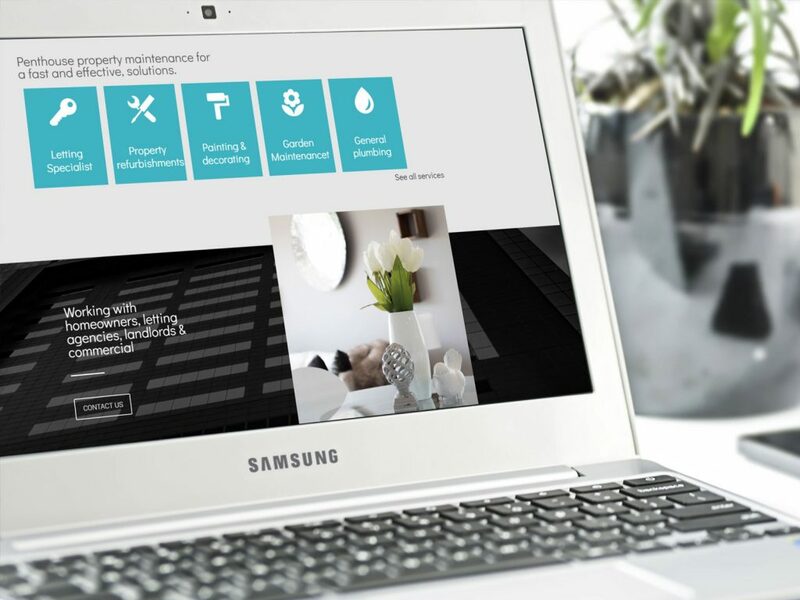 They provide a complete list of services from highly professional maintenance service dealing with home owners, landlords, estate agents and management companies. 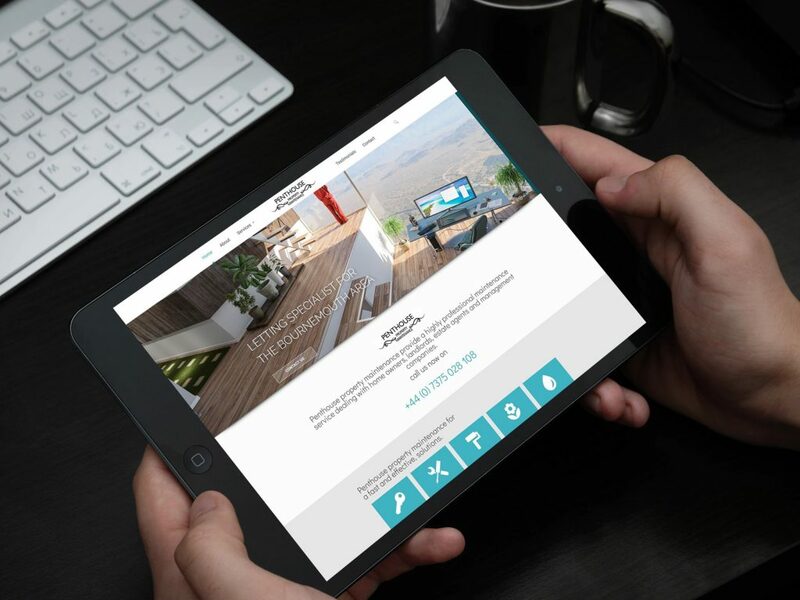 Our brief was to fully build and brand a new business web site. It should be extremley professional, clean and usable. 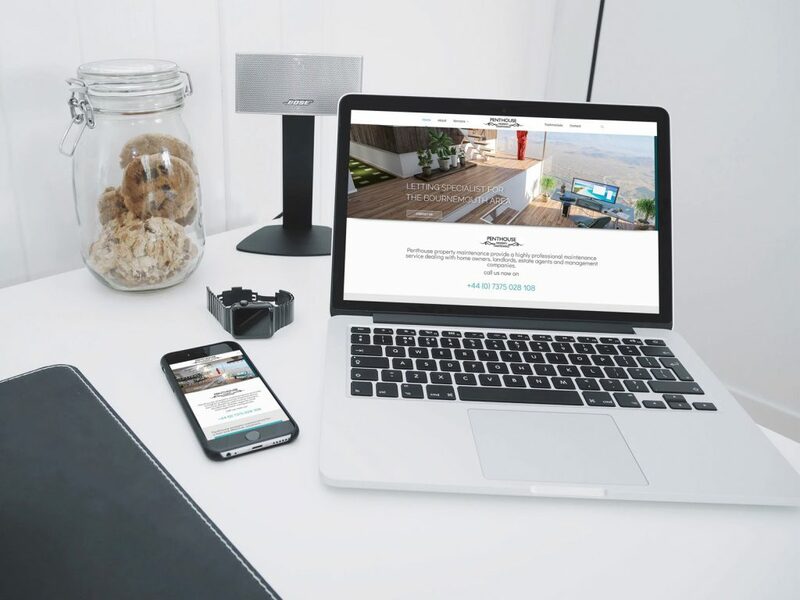 After meeting with the company director, we looked at the options available for producing a sophisticated, clean and modern design which would offer a range of services. We set about locating the various services and then hand designing each icon to use on the site. With 12 services this was quite an icon family in the making. The client required a complete creation of branding for the business from the ground up. 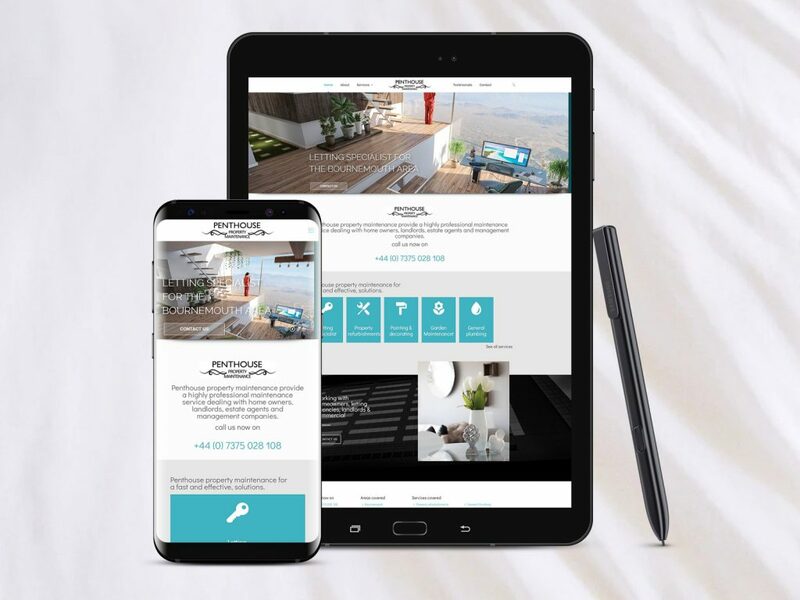 The brief included a logo design, agree a colour palette, a website built in WordPress and arranged to work on various devices, the ability to show beautiful images for each of the services. We worked with our client throughout the whole process to get the best results. A final design and build was created and tested and signed off by our delighted client. Our client was thrilled with the results. Please take a look for yourself and contact us if you require the same type of service from us. 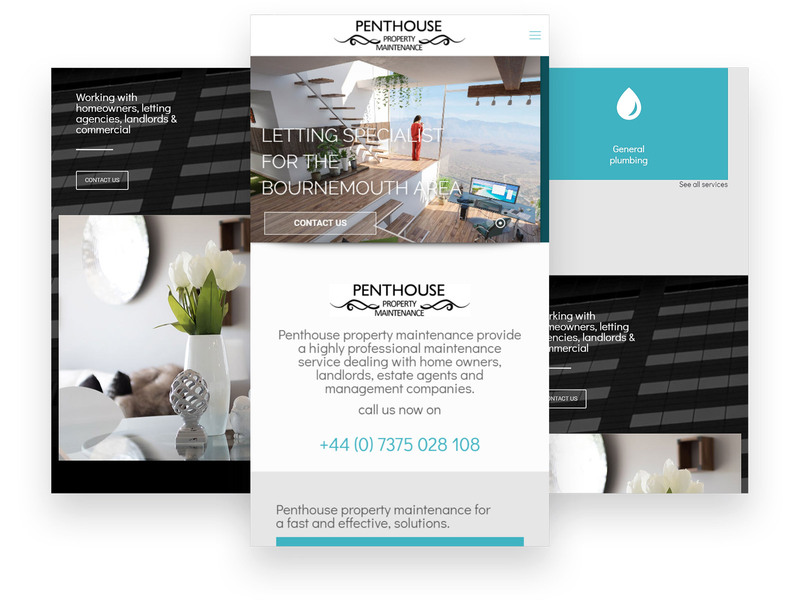 Penthouse property maintenance provide a highly professional maintenance service dealing with home owners, landlords, estate agents and management companies. They have been in the business for many years, our objective is simple: to provide a excellent service at a very competitive price. They manage all aspects of maintenance from simple repairs to complete refurbishment projects.